Sheep farming developed from the 1850s, especially on the east coasts of both islands. 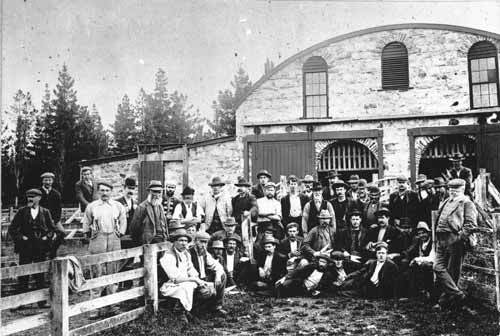 These workers at a large sheep station have gathered for the photograph. Some are holding hand shears, used to cut the wool which became a major export for the next century.